recipe | Real. Food. Girl. A fresh take on healthy living. So…I’m officially an adult! I made it through my first full, 40 hour work week. Part of me feels like I’m still a (semi) irresponsible college student just doing a summer internship. It still doesn’t feel quite real, but I’m sure it will very soon. Possibly as early as tomorrow, when I have to forgo a day off to go into work to help cover severe weather. That’s exactly what I hope to be doing with my career eventually, though, so I’m excited. And at least I get to sleep in! Nachos aren’t totally a kids-only food, are they? If so, then I guess I’m technically a kid because I love ’em. Hold on. 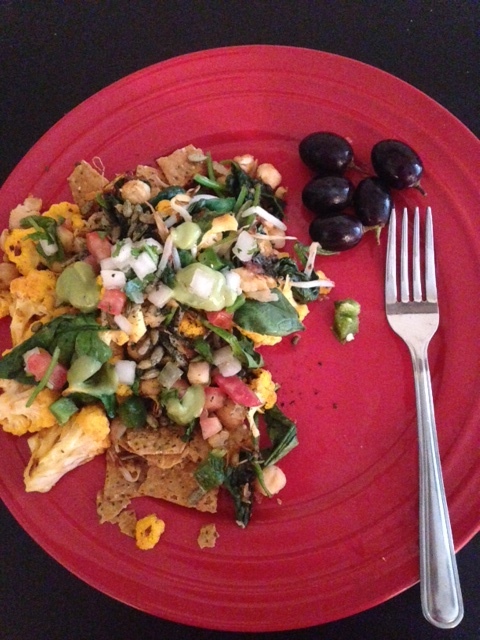 Aren’t nachos like the exact opposite of healthy vegan food? A pile of fried corn chips smothered in (usually) super fake and gooey cheese sauce, and topped with greasy ground beef and too much sour cream…not exactly my kinda fare. But I’m not talking about baseball game or Taco Bell or even Qdoba-style nachos. No, I’m talking about fork-worthy nachos — ones with plenty of veggies, fresh guacamole and salsa, aka adult – appropriate nachos. These are those nachos. These are the nachos I choose to eat. Maybe they’re not technically nachos, because they involve no cheese at all (real or vegan) and you kinda have to eat them with a fork. Because they’re messy. And they’re mostly toppings. And sure, nachos aren’t nachos with a chip of some sort, but let’s be real, it’s all about the toppings. Because who wants a big plate of corn chips? Not you…because you’re an adult. You eat your veggies willingly, and you utilize silverware as needed. Here’s to being an adult! In a large saucepan over medium heat, heat up coconut or olive oil. Add in veggies and cook for 2-3 minutes, or until softened. Add in beans and spices and continue cooking. Add in more veggies, if desired. Remove from heat and pour over tortilla chips. Top with salsa, guacamole or whatever you like. Makes 1 serving. So…this weather. I can’t complain too much, considering how much the East coast has been dumped on with snow and freezing rain lately. When you East Coasters were huddled inside hoping the polar vortex would just leave, I was enjoying the sunshine and 60-degree weather with an iced tea in hand. Sorry not sorry, guys. But now I feel for you. After a few glorious days of well-above-average temps for Colorado this time of year, we were graced by the presence of snow. Okay, like an inch or two at the most. But I was getting ready to store my sweaters and boots until next fall. Guess I’ll be keeping them around for a little while. Whether you’re so over the snow, were shocked by a dusting of it after spring-like weather or you’re already sunbathing and wearing sandals, you’ll enjoy these kale chips. They’re inspired by Mexican hot chocolate, which is a fun spin on the classic winter drink. Recipes vary, but it basically involved cocoa powder, cinnamon and cayenne pepper. Sweet and spicy is totally my thing, so I had to take these flavors and transform them into a magical coating for kale chips. Of course, I made them raw vegan friendly. I started a raw challenge at the beginning of this month, and honestly, I don’t have any intentions of stopping once February has left. I feel so great with a diet based around raw veggies & fruits, nuts & seeds and fun superfoods. And hey, if I can make it through one of the coldest months of the year (though we’ve been pretty lucky here this year) eating fully raw, I can certainly do it into spring and summer! 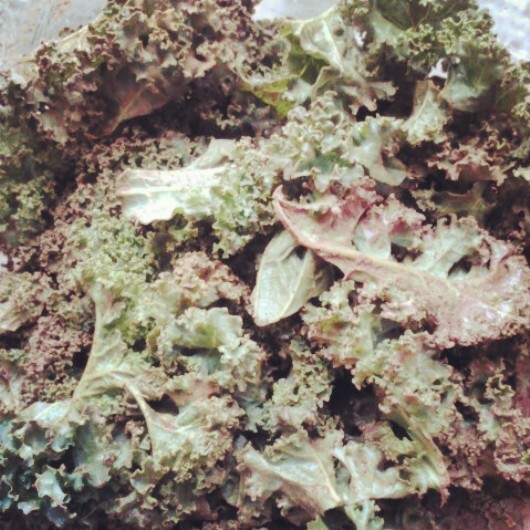 If you don’t have a dehydrator, you can certainly bake these kale chips. Personally, I prefer dehydrated kale chips as they stay perfectly crispy without any burned bits. Either way, kale me maybe and make these chips! In a large bowl, mix cacao, cayenne, cinnamon, stevia and melted coconut oil until combined. Add in warm water slowly, until mixture is liquefied but somewhat thick. Rinse kale and tear into small pieces and place in bowl with spice mixture. Massage spice mixture into kale leaves and set aside for 20-30 minutes to marinate. Place kale on Teflex-lined dehydrator trays and dehydrate at 105-118 degrees for 2-3 hours, or until desired crispness. Store in airtight container. 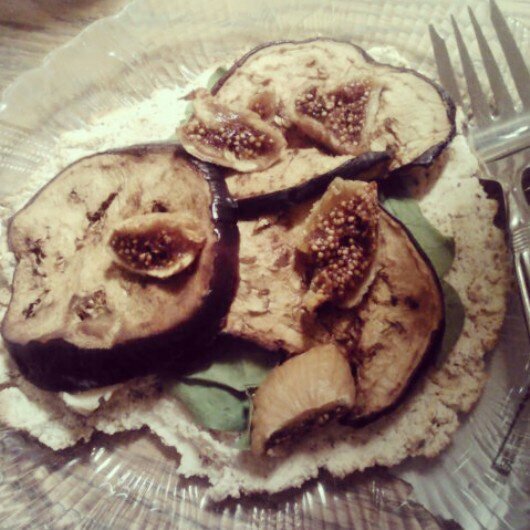 Recipe submitted to Raw Foods Thursdays. Cake Pops for Your Valentine [recipe]. I like Valentine’s Day. There, I said it. No, I’m not currently in a relationship. Yes, single ladies can celebrate V Day too without being all bitter or hung up on their single-ness. For me, it’s all about loving the people who are in my life. Friends. Family. Being single just means you can focus your love on those other people, and show them how much they really mean to you. Like for instance, I bought my sister a vegan chocolate donut from Whole Foods and I’m surprising her with it for breakfast tomorrow. It’s the little things like that that mean a lot more than a giant stuffed teddy bear or a cheap box of chocolates. Then again, I also like Valentine’s Day because it means…more treats for me! Yes, I’m a little selfish but it’s true. I’m bad at sharing the foods I like because A) they tend to be a little expensive (cough cough, raw desserts) and B) did I mention I’m selfish? If you like to share your food, then these cake pops are for you. A little bit cheesecake-y without the guilt, plenty of cherry and dark chocolate flavor to make them appropriate for Valentine’s Day…or any day, really. And if you don’t like to share–you’re in luck, too. Because that means more cake pops for you. In a food processor, pulse soaked and drained cashews, coconut flour and date until combined and cakey in texture. Blend in cherries and stevia and set aside. In a small bowl, mix cacao, coconut oil and additional stevia until mixture is thinned. 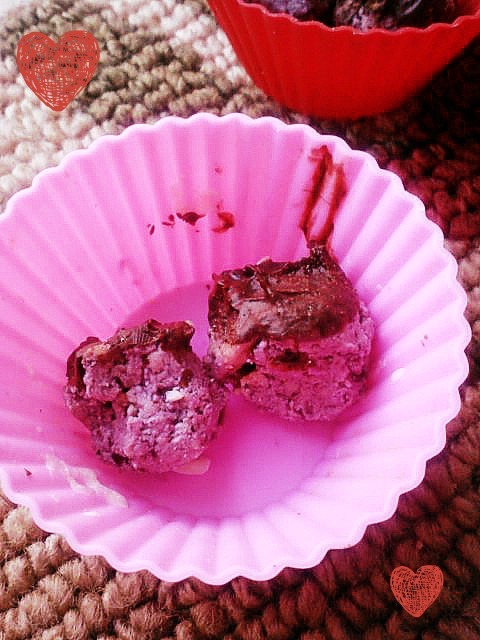 Roll cashew cherry mix into small balls and dip into raw cacao mix. 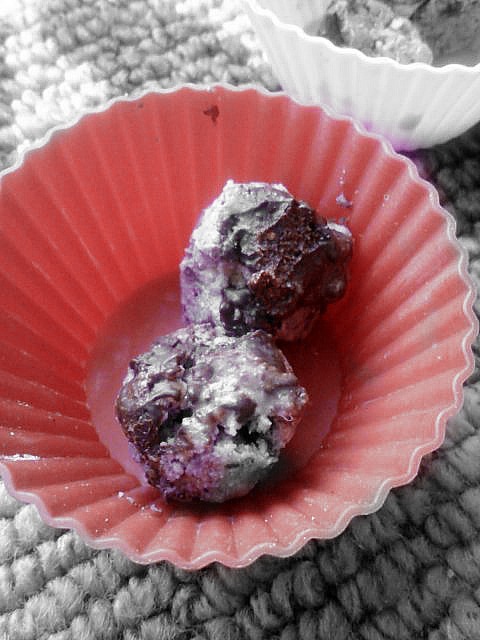 Place balls in fridge or freezer for a few hours, and serve as cake balls in cupcake liners or poke with lollipop sticks or toothpicks for cake pops. Makes 10 small pops, ~50 calories for 2 pops. Perfect for your Valentine…or for you! What’s one food you don’t mind sharing with others? Recipe submitted to Raw Foods Thursday. Bacon for Raw Vegans? [recipe]. My carnivorous (seriously, she HATES veggies and many fruits too) sister is a bonafide bacon-lover. She and my dad are currently in Chicago as she auditions for musical theatre colleges and they’re planning on going to a bacon restaurant this week. A. Bacon. Restaurant. What is wrong with America that we glorify shameless, unhealthy meat eating to the point that there are restaurants with a bacon theme? Getting off my soap box, I realize a lot of people like bacon. Vegetarians and vegans alike, even. If that weren’t true, there wouldn’t be so many faux bacon products out there. I used to eat them occasionally, not really to replicate bacon (because let’s be honest, those products don’t and also I have no desire to eat meat or its imitations) but just to get that flavor. I think it’s the salty, smoky, sweetness that makes people go gaga over bacon. So why can’t raw vegans enjoy this flavor combo too…in a healthier form? Enter…coconut bacon! I’m definitely not the first to think of this (though I wish I was) but many recipes out there aren’t raw or quite as healthy as this one. I’ve got nothing against maple syrup (love the stuff, actually) but for the sake of staying raw and no-added-sugar, I nixed it for homemade date paste and dehydrated my ‘bacon’. I think I like it better dehydrated than baked, because it keeps the texture perfectly crunchy. Homemade ‘bacon’, fresh from the dehydrator. Mix aminos, liquid smoke and date paste in a bowl until combined. Add in coconut and stir until coconut is covered. 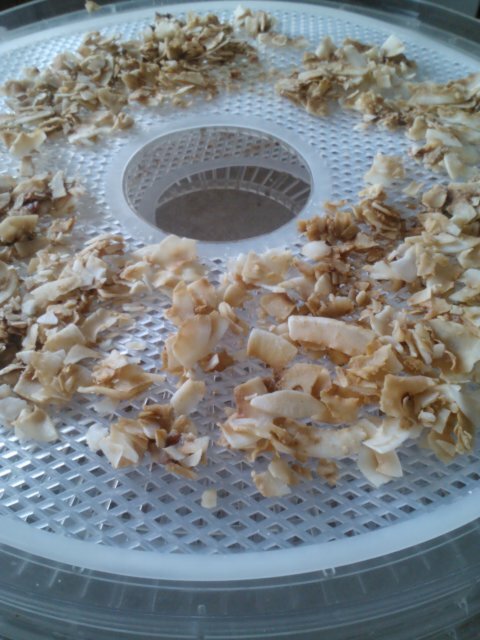 Spread coconut flakes onto Teflex or parchment paper lined dehydrator trays and dehydrate at 118 degrees for 2-4 hours, or until coconut is crisp. Makes 1 cup. BLA lettuce wraps with the coconut ‘bacon’. You can just eat the ‘bacon’ by the spoonful if you want, but it also makes a delicious addition to BLA (‘bacon’, lettuce and avocado) lettuce wraps, salads, sweet & salty desserts and basically anything that needs a little ‘bacon’! Recipe submitted to Raw Food Thursdays. Have you ever tried non-meat alternatives to bacon? Grain Free Pizza Crust [recipe]. Remember when this blog was mostly about food? I actually don’t at all regret posting more about my personal life on here. I’m going through a very transitional phase in my life and while I’m enjoying some aspects of it (getting my groceries paid for by my parents is a HUGE perk!) I’m also very ready for something to happen in my life. So look forward to more personal posts on here and maybe on AlmostVegGirlie. For now, let’s talk pizza. It’s the weekend and for many people, that means letting loose with their eating habits. Nothing necessarily wrong with indulging every once in awhile, but what if you want to keep things healthy but still weekend-worthy? Enter the grain free (and vegan!) pizza crust. And pizza toppings, of course, but I’m leaving that up to you. Preheat oven to 400 degrees. In a medium sized bowl, mix all dry ingredients together. Pour in water slowly, until a wet dough is formed. Spread pizza dough onto parchment paper lined cookie tray, about 1/2 inch thick. Bake for about 20-25 minutes, or until crust firms up and begins to brown. To use as pizza crust, lower oven temperature to 350 degrees and top with sauce and veggies. Bake for another 5 to 10 minutes or until toppings are hot. Makes 1 single-serving pizza. Bagels. Oh bagels. Bagels and I have a love-hate relationship. See, I like the texture of bagels, how doughy and chewy they are, and they remind me of my childhood. When we’d go camping, sometimes my dad would drive into town and bring back a dozen bagels from Einstein and my family would eat them for breakfast and lunch. My favorite flavors back then were chocolate chip (that hasn’t changed) and asiago (hold the cheese, please). I haven’t had a donut in a good 3 or 4 years. Thinking about them now, they’re too carby and filling and most of them aren’t gluten free (and the ones that are probably aren’t that good, or are made with eggs). But sometimes, a girl’s gotta have a bagel. Spread with homemade cashew cheese, or dipped in peanut butter mixed with real maple syrup. So how do I get my bagel fix now, as a health-conscious, clean eating, (mostly) gluten free vegan? 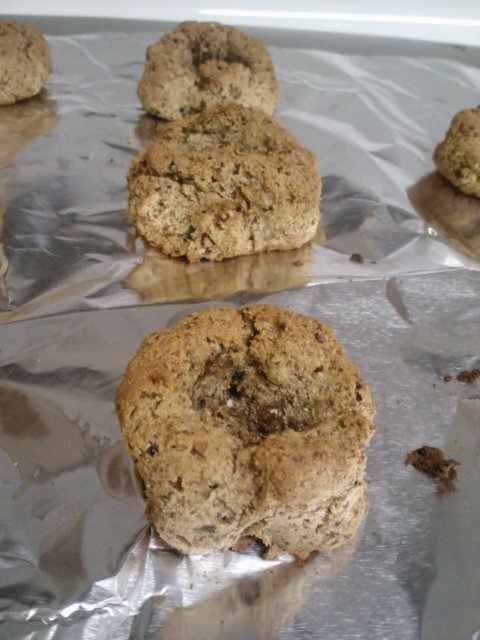 Homemade GRAIN FREE bagels, of course! Now, grain free bagels. That may seem like a bit of an oxymoron, amiright? I mean, bagels are all about the gluten, the carbs. How exactly does a grain free bagel work? Being completely honest, these aren’t exactly the same as those carby bagels you knew and loved, but they’re pretty darn close in texture for being made from coconut flour, and they taste amazing (especially warmed up) and best of all, they’re a lot more fiber-full and nutritious than those empty calorie cream-cheese-slathered bagels from bagel shops. And I’m more than happy to devour these, because they’re mini (so they’re a lot cuter–that’s just how things work) and I finally made a grain free vegan baked good that didn’t totally fail on me! Preheat oven to 350 degrees, and place foil or parchment paper on a baking sheet. In a food processor or stand mixer, process the ingredients from flax through almond milk until combined. Add in each remaining ingredient, one by one, until dough is formed. You may have to add a little more coconut flour or a little more liquid to get it to be the right consistency. It shouldn’t be too dry or too wet, but you should be able to form it into balls without it falling apart or being too sticky. Form dough into a large ball between your hands (you may have to wet your hands with a little coconut oil), divide the ball in half and divide each half into 4 separate, smaller balls. Roll each of the 8 balls in your hands, place them on the lined baking sheet and form each into a ring, pressing your thumb into the center of each to make a bagel hole. If the dough starts falling apart, use your fingers to reform the rings. Bake for about 20-30 minutes, or until bagels are starting to brown. Makes 8 bagels. What is or was your favorite bagel flavor? You know that eating salads is good for you, but what if you still can’t stomach them…or get bored after two weeks straight of salads for lunch? Who said you had to have salads every day if you don’t like ’em? You can still get in your daily dose of greens by incorporating lettuce wraps into your day in place of (or in addition to) traditional green salads. You don’t have to be a creature habit to eat healthy, you just have to get creative! Choose the right wrapper. I personally love romaine hearts and green leaf lettuce, because both are sturdy wrappers and the perfect size for plenty of fillings. You can also do Swiss chard, kale, red leaf lettuce…the options are nearly endless. Just make sure your wrapper of choice can hold up to your fillings of choice and will roll up well if you’re taking them to-go. Pick your fillings. You can go with anything you love–staying on the healthy side, of course! Try to avoid ‘wet’ ingredients because they can soak through the lettuce and make things messy, but you can still make these work if you keep them light. You can go salty, spicy or sweet…just make sure you love what you’re stickin’ in there, or you won’t love your lettuce wraps. Try new things. 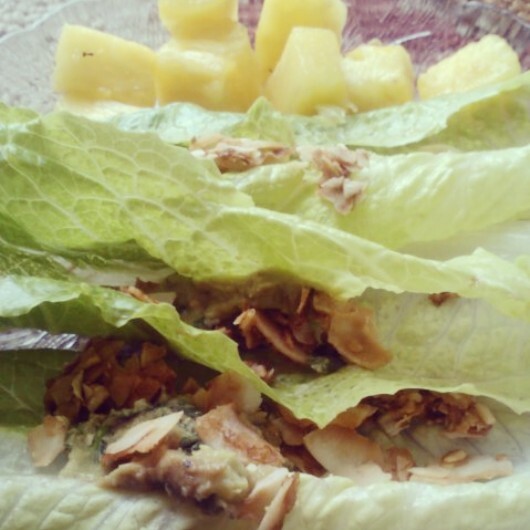 One of the best lettuce wrap combos I’ve found is romaine+Medjool dates+coconut butter. Seriously. It sounds SO bizarre, but the flavors really mesh well together, and I love the contrast between the crunch of the lettuce and the gooeyness of the date. So give those weird-sounding flavor combos a try…you never know what’ll become your new favorite! Wrap it up. Add toppings, sauces, whatever and then devour. Or wrap ’em up tight, put in a Tupperware and take with you for lunch at school or work or on the bus. Lettuce wraps work really well as a quick lunch wherever you want to eat them–definitely less mess than a salad, and more fun to eat! 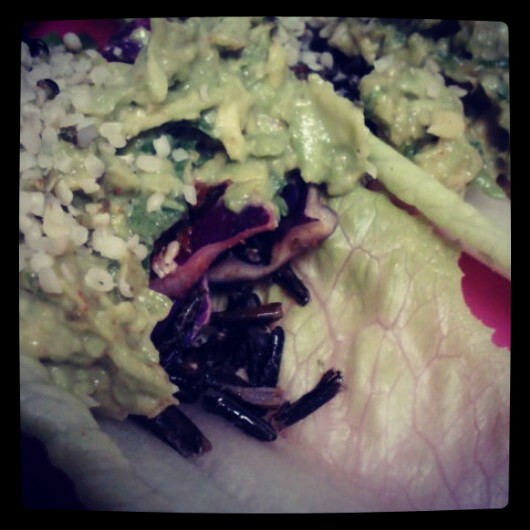 My latest favorite lettuce wrap variation: romaine heart filled with homemade sprouted wild rice salad, homemade spicy guacamole and hemp seeds. How do you enjoy lettuce wraps? Find More Real. Food. Girl. The Real. The Food. The Girl. Real. Food. Girl. In Photos.